Have to be up at 4:30 a.m. tomorrow I am navigating for the commanding general of this district on a flight. So I guess they think I'm doing alright. Well I am going to bed now. 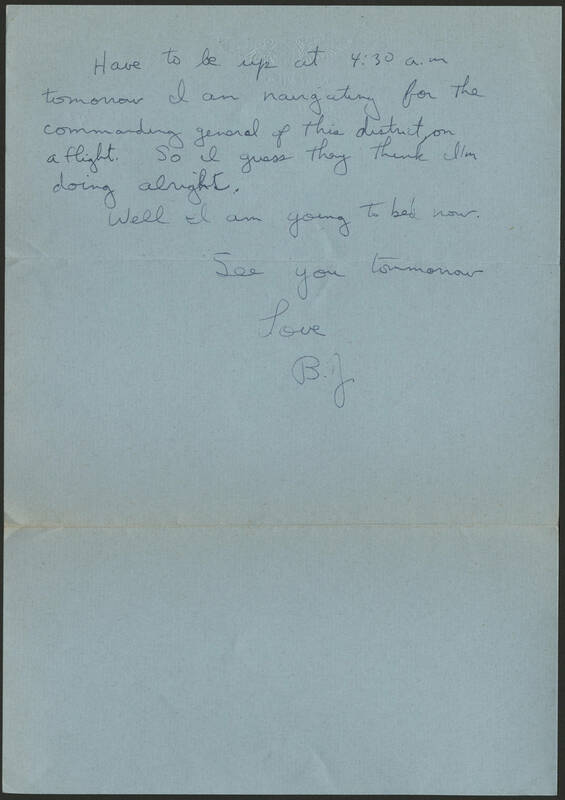 See you tomorrow Love B.J.